Allied health professions are clinical Health Care professionals, trained to use cutting-edge technology for various diagnostic, therapeutic, and monitoring of direct patient care and support services to impact different dimensions of human health and practices. They are allies in a Health Care Team, working together to deliver high quality patient care services. Health Sciences course helps to develop technologists with a strong scientific background to help the physicians in the diagnostic and therapeutic care. We train and develop para medical graduates who support the clinicians in medical colleges, hospitals and clinics. In the hi-tech world of modern health care, the need for a team approach in curing illness and sustaining life is essential and it takes people with varying skills and expertise to make up the team. Advanced complex instrumentation and equipment require technocrats not only to operate but also to care and maintain them as well. Completed application forms should reach ‘office of Admission', Saveetha Amaravati University, 3rd Floor, Vaishnavi Complex, Gurunanak Colony, Opp. Executive Club, Chennai - Kolkata National Highway, Vijayawada - 520008 on or before 31.08.2018. The Counselling for B.Sc. Health Sciences Undergraduate students will be held on 10.09.2018 at Saveetha Amaravati University, 3rd Floor, Vaishnavi Complex, Gurunanak Colony, Opp. Executive Club, Chennai - Kolkata National Highway, Vijayawada - 520008. The admission will be done purely on merit . The call letter for counseling will be sent to the selected candidates. The candidate should be physically present on the mentioned date and time of counseling without fail. It is mandatory that the candidate brings the prescribed tuition fee to appear for the counseling .Candidates who are not present foe counseling on the specified date anstime do not have any rights to claim any seat. The Candidate should be present for the counseling accompanied by a parent / guardian. The following original documents with three sets of Photocopies should be brought at the time of counseling and should be submitted if admitted to the course. 1. Mark list of H.Sc / 10+2 or its equivalent. 2. Conduct Certificate from the institution last studied. 3. Transfer Certificate from the institution last studied. 7. Certificate of extracurricular activities. The Candidates once selected for admission should pay the following fees at the time of counseling and thereafter in the month of May every year. The fees once paid will not be refunded. In case the candidate wants to discontinue I withdraw after the commencement of the course , he/she has to pay the entire course fee before discontinuing from the course. The selected candidates will have to pay the following fees at the time of counseling. The candidate should give an undertaking that he/she will abide by the rules of the University, College and Hostel. The candidate should come prepared to attend a physical medical examination and undergo Hepatitis-B vaccination on the day of counseling if selected. Rs 10,000 scholarship for the students who scored more than 90% in IPE. MILA ( Multiple Integrated Learning Algorithm) helps teachers to evaluate and assess the understanding of individual students regarding a particular topic.Activities such as jigsaw, POGIL(Process Oriented Guided Inquiry Learning), mind mapping, game based learning, critical pedagogy, peer-led team based learning,role play and scale up not only keep the students interested in the topic but also help them break down and easily understand challenging topics and reproduce the concepts easily. Flipped class is a pre recorded video of the content of the class is given in advance to the students. The students view the video before the class. The class begins with an interactive discussion. This minimises the duration of content delivery during the class hours and promotes high order learning of concepts and their applications. The same videos also help in revision before the examination. Orientation is providing basic information on nature of the job and training the students to face the job with confidence and excel in it. This is done through lectures, workshops, soft skill development,interactive sessions and so on.. This enables the student to be more confident to face interviews. Also when they take up a job they will know how to do a flawless work and shine in their profession. With the amount of training and knowledge they gain with our curriculum getting a job is a cake walk to them. They are sure going to be professionals par excellence and these medical science graduates are the most wanted across the globe. Hence, getting a placement anywhere across the world will be a dream come true for our students. An internship is a job training for white collar and professional careers. Our students will have an one year(12 months) internship after three years of the course. This training period will help them apply the knowledge they gained in the initial years of learning. During this period they will be placed in hospitals which will gain them experience on working in an non-academic environment and help them gain expertise in future career. The under graduate course is specifically designed to prepare professionals for work in rewarding careers in rapidly growing healthcare industry. The students will acquire a broad & detailed knowledge in medical imaging which will help them be a new generation in imaging technology and will have the opportunity to develop important practical skills in organising radiological department. The graduates can work as Imaging Technologists in Hospitals with Radio diagnostic facilities both in public and private sectors. As Application specialists in Medical Imaging Equipment companies. As teaching positions in educational institutions in India and abroad and pursing research activities in Medical Imaging Technology. B Sc in MIT graduates have the opportunity to pursue Masters and can specialise in any of the Imaging modalities. In recent years the technology and techniques in the dialysis process have evolved opening many new options for those who require frequent dialysis procedures. Dialysis Technology is used for patients who have become ill and have acute kidney failure (temporary loss of kidney function), or for fairly stable patients who have permanently lost kidney function. Three year graduate program with one year internship in Dialysis provides students with the opportunity to study the principles of dialysis, basic medical science of the kidney, fluid and electrolyte balance. A dialysis technician can set up, evaluate, operate, and troubleshoot dialysis machines, and this knowledge can be used to find work in quality control or other areas in dialysis machine manufacturing. The technician is also trained to monitor the condition of the patient, including taking vital signs and other medical evaluation criteria. The graduate program in Cardiovascular Technology consists of three years of clinical faculty supervised theoretic learning and one year internship programme. This enables the student to apply specialized occupational theory, skills and concepts. At the end of three years the candidates will have to pass the University examination to be eligible for the bachelor degree. Upon completion of the 3-year course and one year internship the candidates will evolve into a full trained, qualified cardiovascular technologist capable of working independently. Handling of these equipments and tools as well as their regular maintenance requires advanced and focused knowledge of the scientific principles on which the tests and equipments function, as well as to have hands-on skill in using these equipments correctly and safely. Handling of these equipments and tools as well as their regular maintenance requires advanced and focused knowledge of the scientific principles on which the tests and equipments function, as well as to have hands-on skill in using these equipments correctly and safely. The personnel who carry out these responsibilities also must have adequate knowledge of structure and function of the human body, especially the cardiovascular system. The graduate program in Cardiovascular Technology consists of three years of clinical faculty supervised theoretic learning and one year internship programme. This enables the student to apply specialized occupational theory, skills and concepts. Upon completion of the 3-year course and one year internship the candidates will evolve into a fully trained, qualified cardiovascular technologist capable of working independently. Neuro electro physiology is a fast developing field in medical science. This course enables the Neuro technologist to perform and interpret electrophysiology procedures. The students will acquire skills to assess the patient and plan various electro diagnostic procedures and implement them. Students will be trained in Sleep studies, Autonomic function tests, pre surgical evaluation of epilepsy, EEG (including Neonatal and long term monitoring), Nerve conduction studies, Electromyogram, Visual evoked potential. The program is envisaged to develop a multipurpose ophthalmic manpower at paramedical level. The training will enable a student to become a competent person in providing service as an Optician, Optometrist, Refractionist and Ophthalmic Assistant to the community. Scope and career options include assist ophthalmologists in hospital and clinic, practice in optical establishments, excellent job opportunities overseas, manufacturing unit for optical lenses can go for higher studies also. Physician Assistants are formally trained to provide diagnostic, therapeutic and preventive health care services in virtually all medical specialties, as delegated by a physician. The Physician Assistants work in different departments such as Out-Patient wing, Operation theatre, Catheterization labs, Coronary care units, Intensive care units, Organ Transplant units, Reproductive Medicine, Orthopaedics and trauma care, Radiation therapy unit and Nuclear Medicine. The scope of this course is tremendous in our country. Apart from working as PA, they get placements in medical software institutions, pharmaceutical industry and organizations developing and marketing sophisticated medical devices, medical tourism, and medical insurance. Besides, they will be appointed as coordinators for various clinical trials. Students of this program are taught Human Anatomy, Physiology, Biochemistry, General physics besides Radiation Oncology and Radiation Physics. The department of radiology has varieties of advanced imaging equipment which gives the students adequate hands on experience and exposure to treatment. Another unique feature of this programme is that the students are given appropriate commnicative skills to enable them to provide the needed emotional support as part of quality patient care. Employment of radiation therapists is projected to grow at a faster pace, much faster than the average for all occupations. Work as therapeutic radiographer delivering a technically advanced and caring service in hospitals. This course provides special training in physiology and technology for delivering appropriate care to critically ill patients. It provides special training in health care along with expert knowledge in physiology & technology involved in delivering critical care to patients as a part of multidisciplinary team. This course trains the students to adapt with wide-ranging functions evolving with changes in technology, patient therapy & service needs. Critical care technicians arrive on the scene to assist during health emergencies. These professionals can treat a variety of injuries or physical ailments, as well as transport patients to a hospital for extended treatment. There are good job opportunities in Health Care industry in India and abroad. An anaesthesia technician is an Allied Healthcare professional who assists in administration and monitoring of anaesthesia and has an extensive knowledge of anaesthesia techniques, instruments, supplies, and technology. Anaesthesia technicians are mainly employed by anaesthesia departments or operating theatre suites, but can be found in other areas of clinical practice including emergency departments, intensive care units (ICU) and day surgery clinics. Anaesthesia Technicians work as a member of a multi-disciplinary team that includes doctors, nurses and support staffs. Medical Laboratory Technology is an Allied Health specialty concerned with the diagnosis, treatment and prevention of diseases through the use of clinical laboratory tests. As vital members of the health care team, medical laboratory professionals play a critical role in collecting the information needed to give the best care and treatment to the patient. The fact is that the practice of modern medicine would be impossible without the tests performed in the laboratory. Medical laboratory professionals have unlimited choices of practice settings. Hospitals, clinics, nursing homes, public health facilities, and commercial laboratories all have positions open for qualified laboratory professionals. In these settings, communication and research skills are highly valued. This course is about managing trauma, from minor injury to humanitarian emergencies, including injuries in women, children and the elderly, with the principal goal of improving quality of care and patient safety. Candidates trained in Trauma care management are the first to be called in case of traumatic emergencies in healthcare centers. Education is based on the medical model. Instruction in medical and behavioural sciences, such as anatomy, microbiology, pharmacology, pathology, physiology, haematology, surgery, clinical medicine, and physical diagnosis, followed by clinical rotations in internal medicine, family medicine, surgery, paediatrics, obstetrics and gynaecology, oncology, emergency medicine, and geriatric medicine are provided. There is ample scope for employment in all Corporate Hospitals after completion of the course. This course is intended to train Diabetes Educators who would assist doctors in their clinic in managing diabetic patients. Diabetic educators will be able to counsel patients about diet, initiate insulin therapy, provide psychological support etc; on an individual basis and also conduct group education sessions on Diabetes to patients and their relatives. They will also learn basics of Medical nutrition therapy, basic paediatric care and essential statistics which would enable them to give dietary advice, paediatric care and conduct clinical audits and data entry. This course will enable the successful candidate to be posted as an assistant to a Diabetologist in a clinic or hospital, specializing in Diabetes to assist the physician in clinical tasks and also participate in clinical management. There is increased scope for employment after completion of this course. 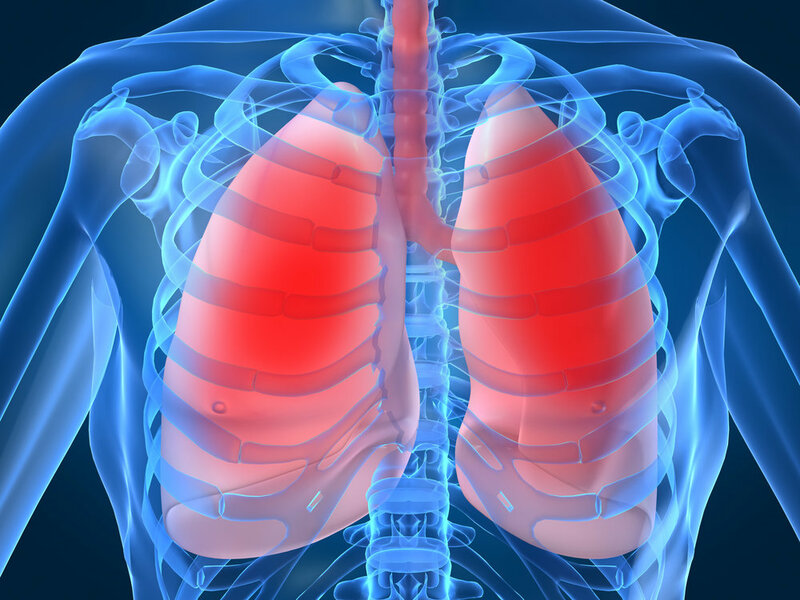 Respiratory Therapy is a relatively new branch of Allied Health Sciences and a profession devoted to the scientific application of technology in order to assist in the diagnosis, treatment, management and care of patients with cardiopulmonary and associated disorders. Respiratory Therapists are important members of modern healthcare teams. The curriculum is developed to educate students to transform them to highly skilled Respiratory therapist. In addition they are also given orientation in Research and education. This course is related to the health care sectors and area of study in the medical field. The significant medical records of patients, the history of their health regarding the investigations conducted and the results obtained are all maintained by the professional who is in charge of the Medical records. Perfection and accuracy in maintaining records are very vital to the health care provided to the patient as any small discrepancy can result in an untoward occurrence. The job profile includes Management of records of the case history, medical treatment and results of medical examinations conducted on the patients. Labelling, classifying and maintaining documents in an organized manner. Proper documentation and using electronic systems to upload the details of the patient to store them in the electronic file.